Go Ahead... Take A Bite! 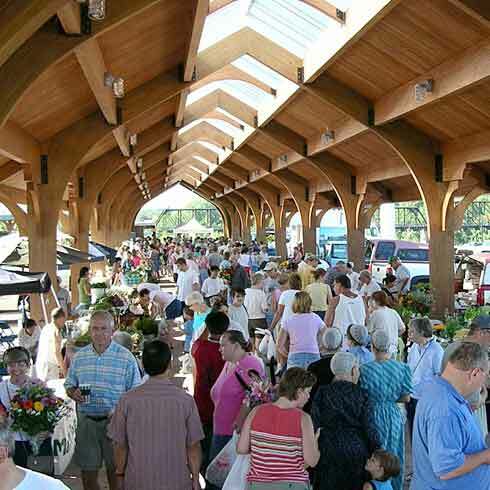 : Spring Farmers Markets Aren't Far Away! 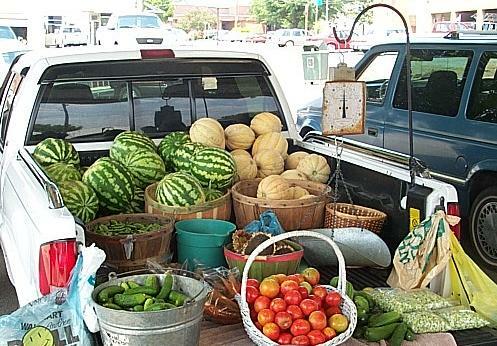 I've always loved to shop at the local and neighboring town's Farmer's Markets and the smaller independent farm stands that dot the country roads around my neck of the woods from Spring to Fall. 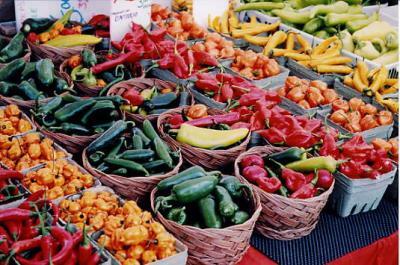 Living in the Northeastern part of the country, it's usually May before we have the pleasure of the full on weekly Farmer's Market. We do have indoor Winter Markets where you can get Organic and Free Range Meats and Artisan breads and cheeses, winter vegetables and year-round goods like dried herbs and beautiful hand crafted soaps and candles, lovingly made with local organic ingredients. 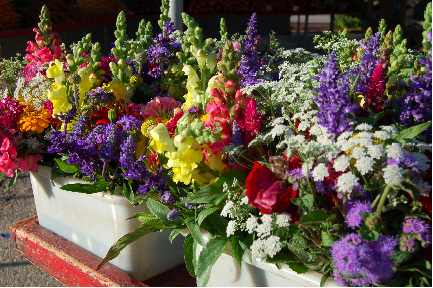 But it's the beautiful spring flowers and plants and the earliest of the local vegetables and herbs under the Spring skies that help to bring me out of the Winter doldrums and into the local markets, like a bear coming out of a long, sleepy Winter's hibernation. Just the fragrant Spring breezes that hit me as I approach those stalls on a sunny Saturday morning in May, provide me with the reminder that the healing warmth of the Summer sun and the full abundance that it brings forth from the Earth, are just around the corner. Daffodils and Tulips bursting with bright color, make my heart just swell with feelings of contentment. All of the rich hues that only Mother Nature herself can create, give blessed relief from the gray skies and dirt-speckled snowy streets of Winter. While I've loved living in this area of the country my entire life, I do find myself daydreaming a bit more each year, of the day when Hubbs retires and we can finally realize our goal of finding a cozy little place down South for the Winter. I can't say that I'd ever want to head South before the Holidays, because I'm afraid that I'd miss the cold crisp air and first snows of the year during the Christmas season. But January 2nd seems just fine to me, to pack up and join the growing multitude of "snowbirds' who head to the sun and clear sidewalks of the South each year. I'll be counting down the months, weeks and the days until that Spring Market beckons me. The way things look right now, it'll be more like wishful thinking for a bit longer. Until then, I always have beautiful photos and daydreams to get me through.